I found a few of these guys in the woods over the weekend and was wondering if anyone knew what they are? All of the plants I saw had the same leaf structure as visible in the photo, single stem with 4 leaves branching out from the center. I'm going to be no help, but i've seen those and would love to know too. they always seem a little like a seedling of some sort of smilax before it starts vining, but i don't think that's it at all. Interesting! I hadn't even considered that they might be seedlings of a vine. I wonder if they could be greenbrier seedlings? That article says they're rare! Lindsaylew82 I think you're right! The photos look like an exact match How exciting! There was a small patch of them along a hiking path I often take. huh. 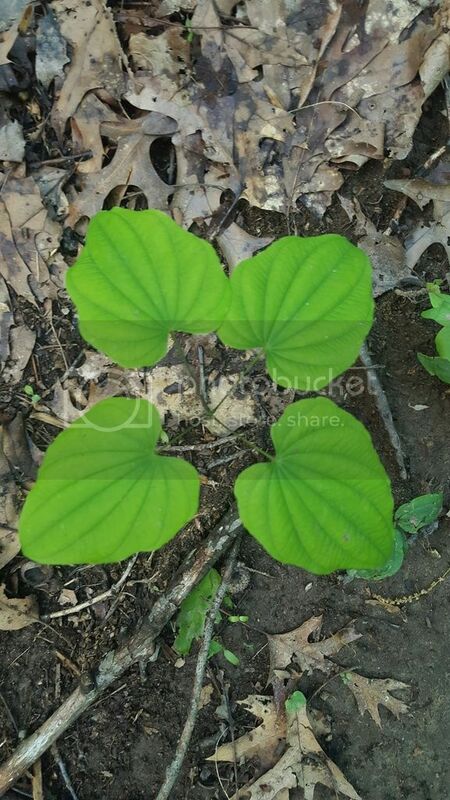 apparently the ones in the woods stay like that, but plants on brighter edges do vine like other wild yam. we have lots. might have to dig one some day just to see.